Teeth are falling out all over the place. The twins are only five, but one girl has already lost both bottom teeth . . .
. . . and two big teeth are starting to come in! The other twin has lost one tooth . . .
. . . and is anxiously waiting for the second to fall out. My 11-year-old daughter was born without 4 adult teeth; she has a very small mouth and her baby teeth have no intention of coming out on their own. Adult teeth are trying to force their way out over the baby teeth, and let's just say that her mouth is a teeming pit of psycho teeth fighting for position. The orthodontist has been keeping tabs on her for a couple of years, and finally declared that six baby teeth need to be extracted. SIX! Yikes. The dentist has already removed three on the right side of her mouth. We'll wait for everything to heal up before attacking the left side. 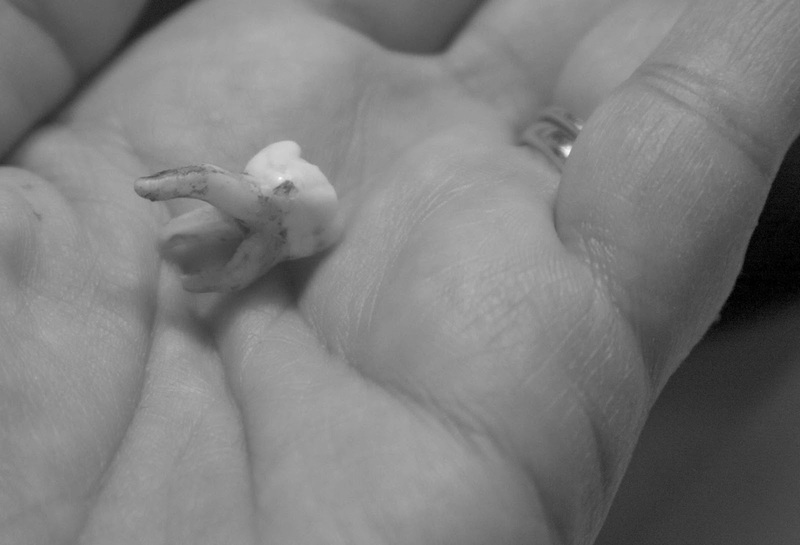 This is one of her "baby" teeth, roots still intact. Thankfully, my 13-year-old doesn't have to have any teeth pulled, but her teeth have been placed back into braces for "phase II" of her dental plan. I'm fairly certain that phase II is orthodontist-speak for show me the money. You can be thankful that I changed all these photos over to black and white. They're my own flesh and blood, but even I can't stomach close-up shots in glorious technicolor of my children's unbrushed teeth and saliva-covered gums. Sweet dreams. We have a lot in common Kim, I contacted you a few years back regarding my daughters grey tooth! remember one of your twins had a grey tooth too? well my daughters never went back to white, infact she banged the same tooth 2 more times and it got knocked out! I always told her she would start school minus teeth, sure enough she did start school a few weeks later minus her top front tooth! and to top it all she most very early lost a bottom tooth at 4 years 9 months naturally and has lost both of them bottom ones now at only just 5 she has 2 big teeth growing in nicely! she is so early my boys were at least 6 or 7 before losing teeth. my eldest ( almost 15 ) has a fixed brace and my middle child (almost 12 ) has his orthodontist appointment in March. 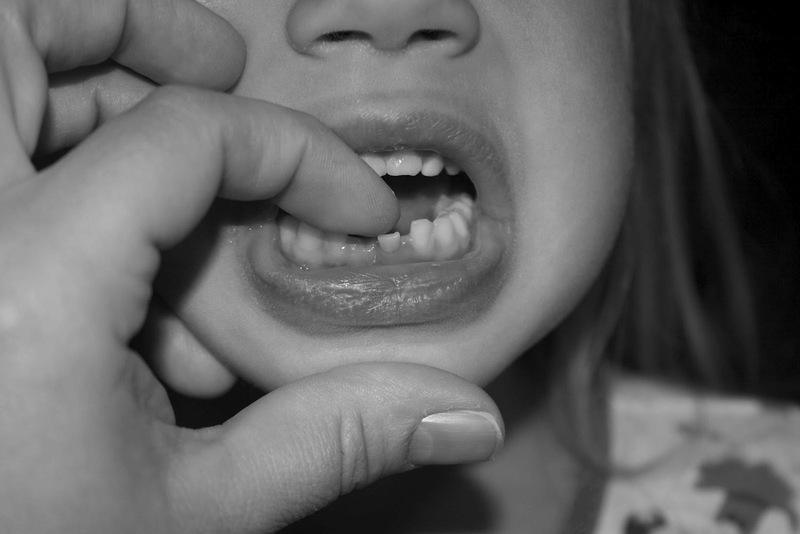 I warn my sister who has very young children, "wait till you get all the trouble with their teeth" and then theres trying to get them to brush them correctly!. 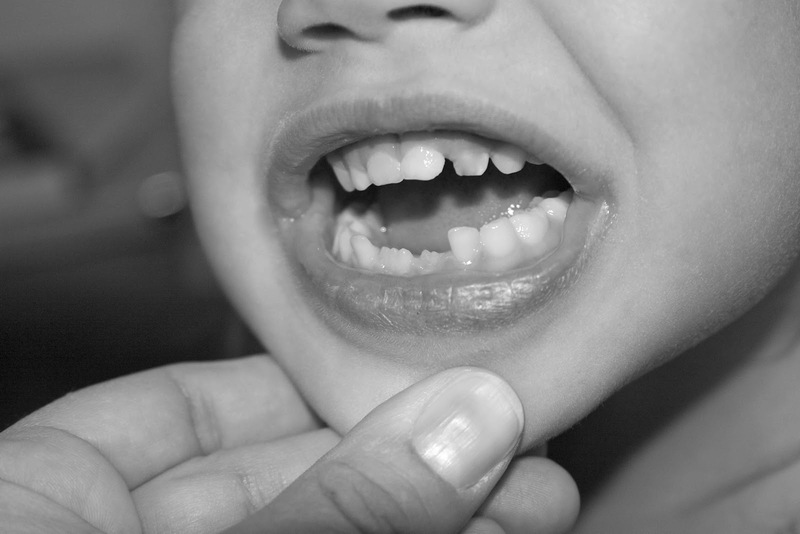 I'm always amazed at HOW BIG baby teeth are before they lose their roots and fall out. Your daughter is a real trooper to put up with two surgeries. That's the biggest root I've EVER seen on a tooth! Ouch! Bless you for your decision not to use color. My first child didn't lose her first tooth until first grade, and my 2nd child was 8 or 9, so my twins seem a little young to already be dropping teeth! Good to hear that there are other kids out there starting kindergarten with gaps in their smile! I know. The more I've thought about it, the more I've convinced myself that the dentist may have pulled an adult tooth. Before he pulls the other 3, I am going to talk to him about it and look at the x-rays myself. Shudder. We are still waiting to have Sweetums's wisdom teeth extracted. My mouth is a hideous combination of overbites and underbites and cross-bites and a small palate. 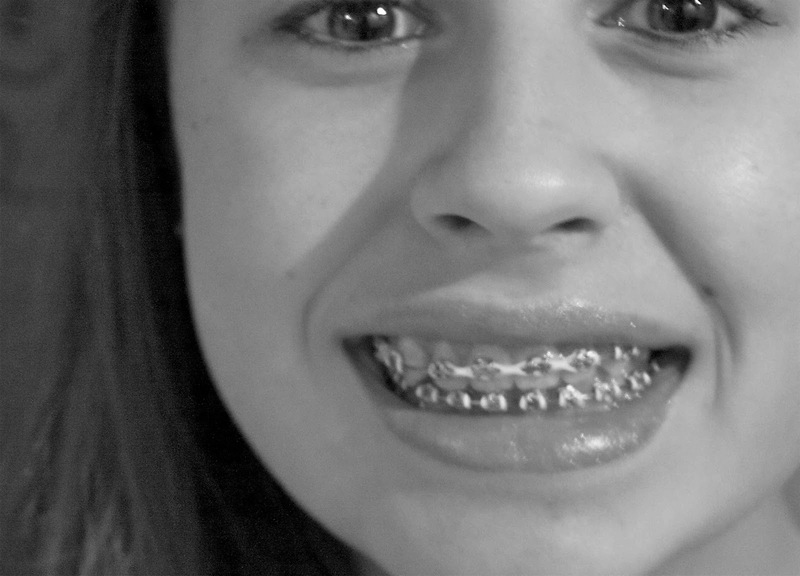 I feel your orthodontic pain.